Diana Ross | Take Back Halloween! 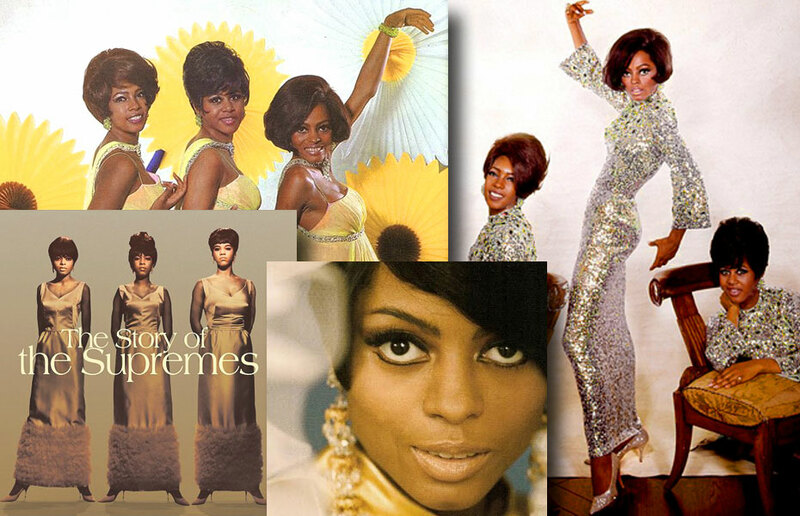 This is vintage Diana Ross, you understand: Diana Ross as a Supreme. 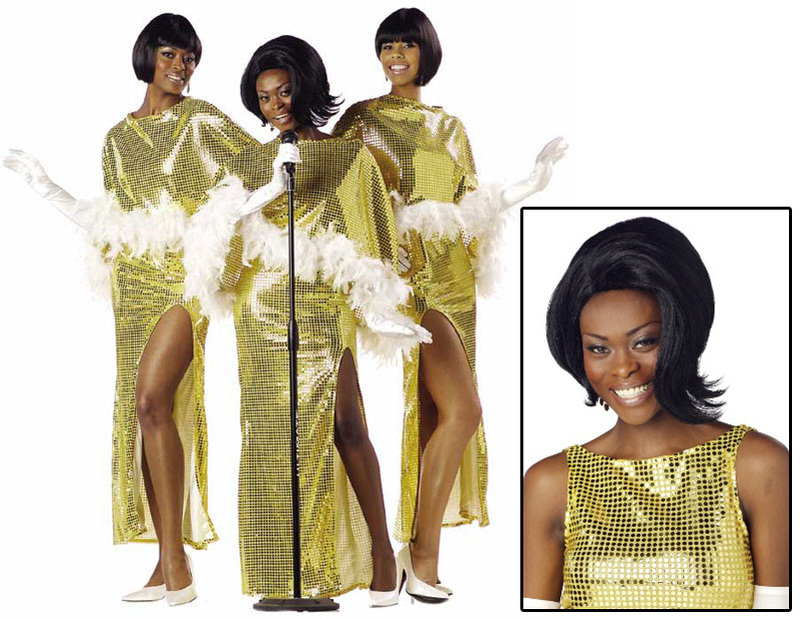 Not only were The Supremes the top American singing group of the 60s, but they were also style leaders. Glamour was always important to them, and Diana had even planned to be a fashion designer before the music thing took off. In the early days of The Supremes—long before Motown started supplying couture gowns—Diana was the one who designed and made the dresses, supervised the hair and makeup, and created the overall high-fashion look that was the group’s signature. 1. Gold-beaded white sequined gown. This is a great dress, all the more so because it actually looks like something from the 60s. 3. Diana Ross wig. Also licensed by Motown. (How does Diana Ross feel about this?) 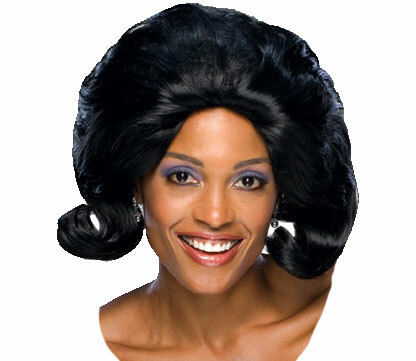 If your own hair won’t do, this wig should work. They also have this one. 5. White high-heel pumps. Unless you have a pair of gold sequin shoes that would match the costume, white shoes like this would be best. 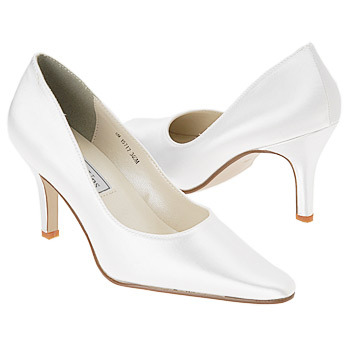 White pumps are a very 60s look. 6. 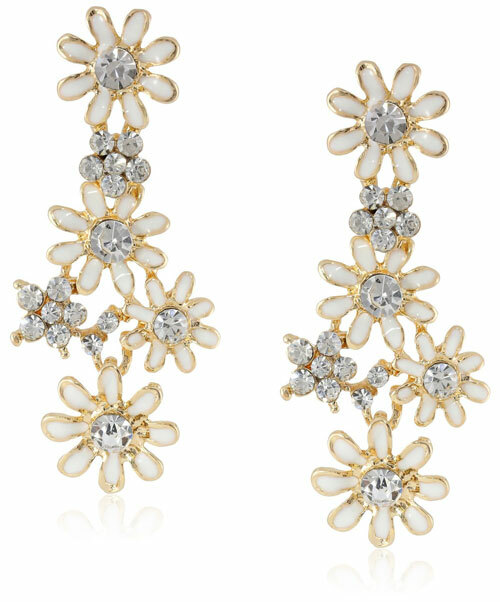 Rhinestone enamel daisy earrings . The perfect 60s earrings.